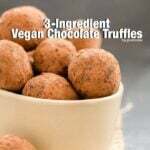 Who doesn’t like a celebration with chocolate truffles? Everyone likes celebrations, right? We can celebrate any event special for us, it doesn’t have to be a national or universal occasion. The most important occasion for some people to celebrate is their birthdays while others think that their anniversary is as important. So maybe it’s not right to put them in order according to their degree of importance. Celebration is good when you experience something meaningful for you! Personally, I don’t have many special days to celebrate. I just don’t like to limit celebrations to specific dates. Ypu might think I’m a bit weird, but I don’t care even my birthday. Well, I definitely like receiving gifts or being together with my family or friends, but not on an arranged day. I mean, if someone wants to make me happy, he doesn’t need a specific day, he can do it on any ordinary day when I don’t expect anything from anyone! For me, this is the real way of surprising someone. So what am I celebrating in this post? My 5-year-old niece, who lives in İzmir, visited us yesterday and it made my day! I missed her so much! You know all kids love sweet, so I thought I must make something sweet for her. I know her love of chocolate, so it had to be something with chocolate! I know she likes to assist her mom in the kitchen, so I thought it would be great to involve her in the work! So chocolate truffles would be a great idea for two of us! I prepared the ingredients beforehand and put it in the refrigerator so that it would get cold and thick enough to be shaped when she came. To be honest, I hadn’t had the idea of turning chocolate truffles into thumbprint chocolate truffles until I saw a box of turkish delights Yusuf bought a few days ago. They were like colorful beads, so I thought she would love them too! Luckily, I wasn’t wrong! We had great time together making these thumbprint chocolate truffles! I rolled the dough and she placed the lovely turkish delights on them. She tasted a few of them while making. Well, she ate one every time after making two or three! “Auntie, these smell so good!”, she says. Who can resist the smell of chocolate? Chop them well and feel the tempting smell! You can have one small piece before these are melted, maybe! It gets even more tempting when melted! Crumbled chocolate cake is waiting for a good touch! Chocolate waterfall over chocolate cake! Wow! Look at the darkness! Ready to go into the refrigerator! Cold and thick enough to be rolled! Here are the thumbprint chocolate truffles filled with turkish delights! Chop chocolate roughly into pieces and put them in a bowl. Melt chocolate in a bain marie or boil a water in a pot and place this bowl on it so that chocolate melts. Heat heavy cream in a small saucepan until it boils. Mix heavy cream with melted chocolate. Pour it on crumbled cake. Mix them until combined well. Let it cold in the refrigerator for at least 4 hours. Then take pieces from it with the help of a small spoon. Make balls from these pieces. Place turkish delights on each of them by gently pressing on them. You can keep them in the refrigerator for about a week. What a great idea.. thumbprint truffle cookies and with turkish delight! I don’t have to be a kid to love these! What a great idea–I love these thumbprint truffles! Yum. Oooh I adore truffles and these look divine!